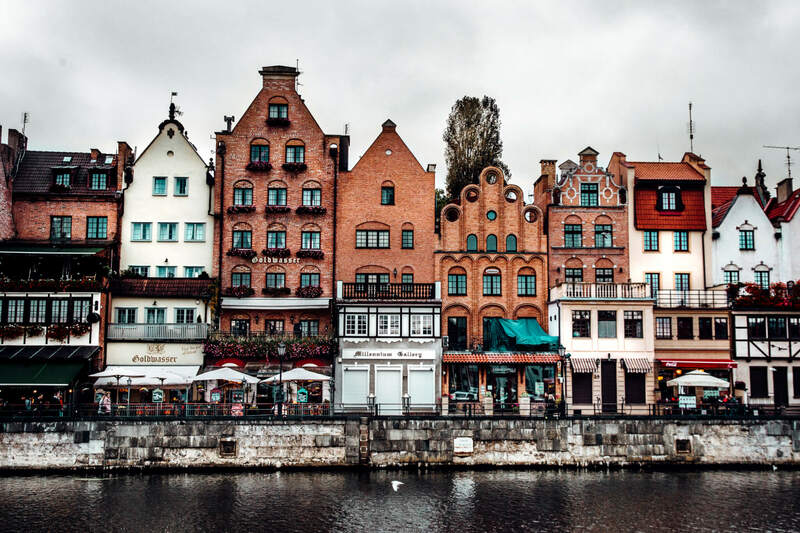 Experience the best of this trip with Frankfurt, located on the banks of river Main along with a mix of historical old towns of beautiful Polish cities of Krakow and Gdansk . You will see a great deal in these 8 days and there is enough time to absorb their highlights and imagine bygone days at the same time. Frankfurt: The Römerberg, Frankfurt’s Museum District (Museumsufer), 54-acre Palm Garden (Palmengarten) etc. Krakow: Rynek Glówny, Wawel, Kazimierz, Nowa Huta, Auschwitz etc. Gdansk: Gdansk Old Town, Oliwa Cathedral , Westerplatte memorial, Memorial to Solidarity Movement , St.Mary´s Basilica etc. The trip will start from Frankfurt (Germany) and end at Gdansk (Poland) with stop at Krakow (Poland). You will be staying 2 nights in Frankfurt, 2 nights in Krakow and 2 night at Gdansk throughout your trip. 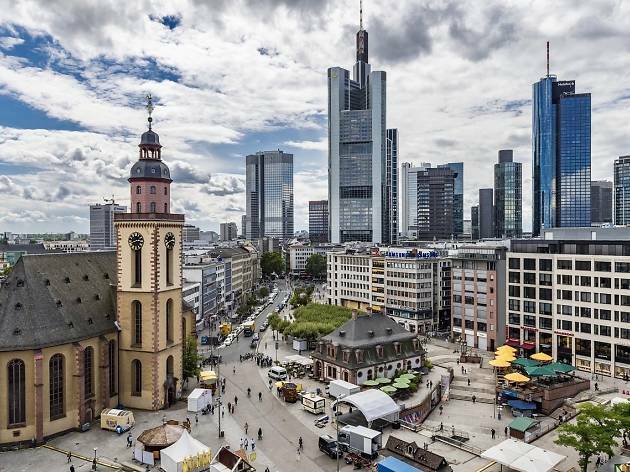 Your tour begins today by taking first one-way flight from New Delhi to Frankfurt, Germany. You will be transferred to your accommodation from Frankfurt Airport where you can relax the rest of the day. Today you will have time to explore the city. Simply follow our detailed day-by-day guide with recommendations to explore the city's main attractions using public transport. Time to head to your next destination. You will be picked from your hotel and transfer to Airport to take your scheduled flight for Krakow, Poland. Enjoy the best scenic view along the way. After reaching Krakow airport, you will be transferred to your accommodation where you can relax the rest of the day or go out in the evening to explore the nightlife of Gdansk. Today you will have time to explore the city. Simply follow our detailed day-by-day guide with recommendations to explore the city main attractions using public transport. Its time again to leave for your next destination. You will be picked from your hotel and transfer to Airport to take your scheduled flight for Gdansk, Poland. Enjoy the best scenic view along the way. 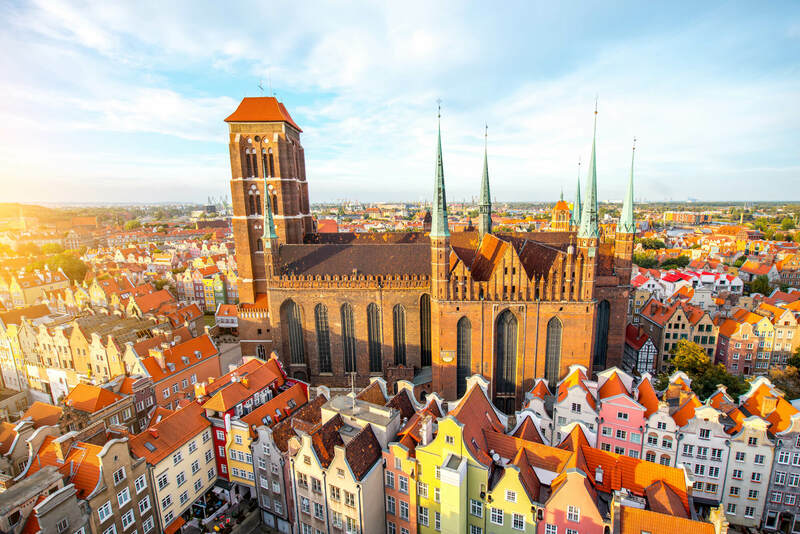 After reaching Gdansk airport, you will be transferred to your accommodation where you can relax the rest of the day or go out in the evening to explore the nightlife of Gdansk. This is your second day to explore the best of the city. Simply follow our detailed day-by-day guide with recommendations to explore the city main attractions using public transport. Your trip finally come to end today, where you will be taking your return flights back to New Delhi, India. Inter-city flights are also included in “Land Only” Package option. – Travel Insurance: Travel insurance is not included in this tour. Travel insurance is mandatory to buy. It can be arranged by us with additional cost. – Local Taxis and Guided Sightseeing Tours: Local taxis and guided city tours are not included. However Detail Itineraries are provided with this package which you can simply use as a guide to explore the cities all by yourself. – Tourism fees: Tourism fees for accommodations are not included and might have to be paid by the customer directly at hotel/guest house. – Daily Meals – No meals are included in this package. price: ₹ 27700	/Per person in a room for 2 people. price: ₹ 81726	/Per person in a room for 2 people. 01. 70% of payments on confirmation of booking. 02. 30% within 2 weeks of booking date. 03. This tour is Non-Refundable. 01. The Schengen area has 26 member states - Austria, Belgium, The Czech Republic, Denmark, Estonia, Finland, France, Germany, Greece, Hungary, Iceland, Italy, Latvia, Liechtenstein, Lithuania, Luxembourg, Malta, The Netherlands, Norway, Poland, Portugal, Slovakia, Slovenia, Spain, Sweden and Switzerland. 02. If you wish to travel to the Schengen Area, you have to apply for a short-term Schengen tourist visa. Depending on the type of your visa, you will be allowed to enter once (single entry) or multiple times (multiple entries), and obtain a stay for no longer than 3 months. 03. The processing time for your Schengen Visa is approximately 10 - 15 working days. Krakow (Poland) to Prague in 10 days!